One of the members of the notorious “Chinese Bandits” defense was St. Aloysius grad Andy Bourgeois. 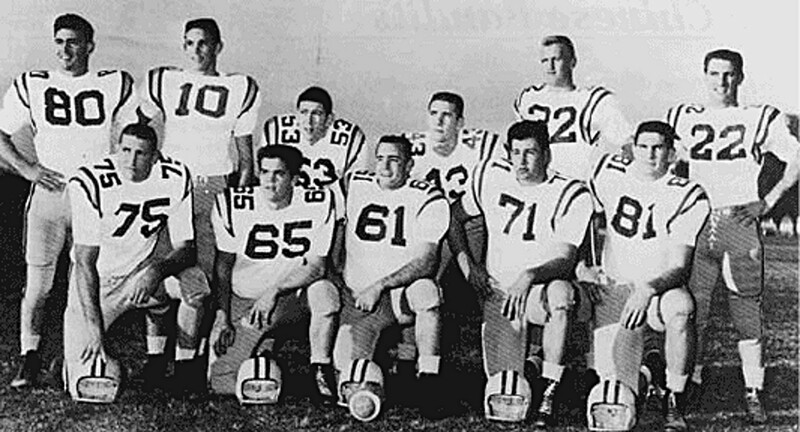 Bourgeois returned to the BOSH fold in the 1960s, when he became head coach at Cor Jesu High School in Gentilly. 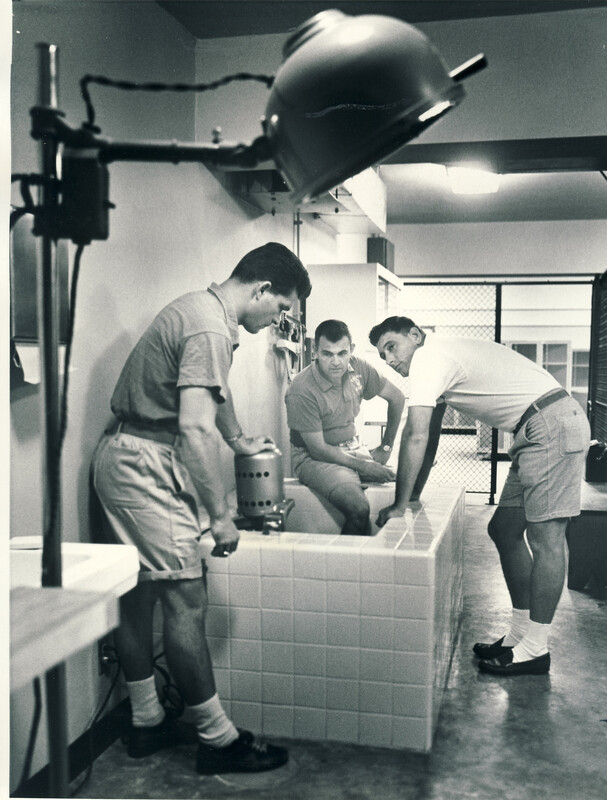 This 1967 photo shows Bourgeois, along with “Chubby Marks” and Bob Conlin inspecting the whirlpool installed in the newly-constructed gym at Cor Jesu High School. That gym is also another Archbishop Rummel story. Brother Martin Hernandez, SC, who was BOSH provincial at the time, was expanding Cor Jesu, adding athletics. He went to the archbishop with his plan for a large gym, and Rummel agreed that the facility would be good for all of the schools in the city. Rummel subsidized the construction, making that facility the largest high school gym in the city. The gym, which is now part of Brother Martin High School, and is named after Coach Conlin. The student section at BMHS home basketball games is known as the “Conlin Crazies”. LSU has never forgotten the “Chinese Bandits”. Whenever the defense forces a punt on third down, or gives the ball to the offense on downs on fourth down, or when the defense forces a turnover, the band plays “Tiger Bandits” and the student section kowtows. This video is from the 2012 LSU-South Carolina game in Death Valley. I chose this version because my son’s up there, in the trombone section.